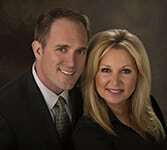 Lane and Rebecca are a great real estate team!!! I love working with them. They are so dedicated to their clients. Very well known in the community, knowledgeable and professional.